The Berlin Calling - We came to stay! It’s with an excited gaze and a grin that doesn’t seem to go away that I write this text, sitting in a small bar fit with wooden pallets for chairs, overlooking the Spree river. I am, no, we are, in Berlin; and it’s neither sightseeing nor a meeting, we came to stay! As with every emerging tech company, one of the biggest challenges we have to face is scaling. And scaling a company isn’t as simple as growing the team, user base and customer array. Its doing so while maintaining the quality of our products and continue to deliver polished and innovative software solutions that push the industry’s standards forward. This sustainable growth, however, would only be possible by further strengthening our ties to the international tech scene. MobiLab is no stranger to hosting and participating in meetups, workshops, hackathons, and even maintaining a growing open-source presence, but that would only take us so far. And since our strong technical know-how and creative thinking are not mere strengths for us, they are rather the founding pillars of our philosophy, we felt as an outlier in the small city of Cologne. Thus, it became apparent that our geographic position was the biggest bottleneck in the scaling of the company. Staying connected to the tech scene was no longer enough, we needed to be there. The question then became not why, but where. There are few countries in Europe, if any, offering as many distinct technological hubs as Germany, each with their own disruptive startups shaping the industry of tomorrow. Hamburg, Munich and Berlin are just a few of the cities with a growing presence in the software industry and with a growing number of developers and entrepreneurs. Each of these cities have their advantages and disadvantages, some are closer to customers, others are focused in key industries for which we are actively working on. But it ultimately came down to a cultural fit. With a team from over 10 different countries and a strong focus on innovation and experimentation of processes and solutions, there really was only one place that we felt was right – Berlin. In retrospect the decision to open an office here was obvious, painfully so because it meant we would have to split the amazing team we worked so hard to build. But all good things come to an end. Besides, the timing was perfect, considering we had two core members ready to move here for totally different reasons: me, for the undeniable opportunity for adventure and Utku, whose personal life mandated. 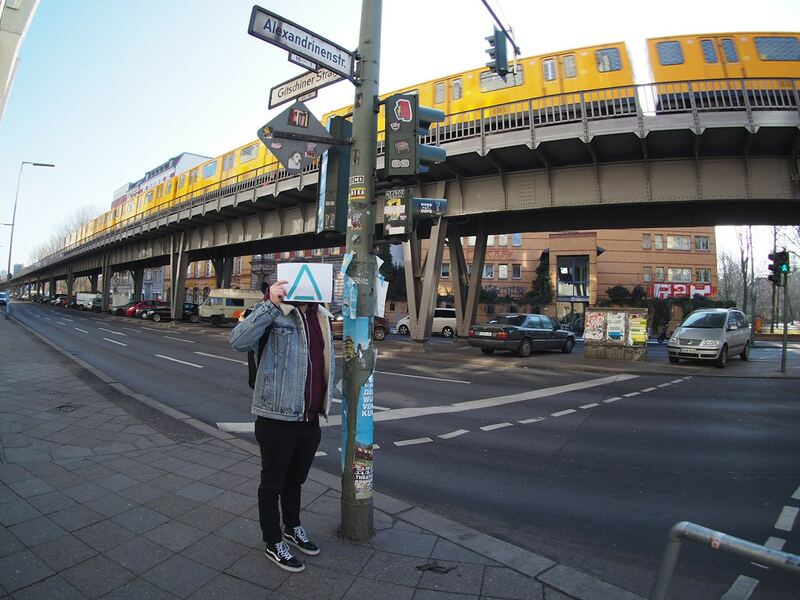 Within a month we had found an office space, right in the heart of Kreuzberg, perhaps the most iconic district of Berlin. Another month and a half and we both had found apartments and an iOS developer in Berlin was hired. And just like that, the time had come and we were past the point of no return. You hear a lot about Berlin. Blogs, friends, news, it seems that everyone has an opinion and they often paint it as a grey city filled with cold, pretentious people; “unforgiving” was a term used by a fellow Portuguese expat. I expected a city filled with serious faces and unapproachable people. My experience so far proved to be the exact opposite. Never in Germany did I feel more welcomed or more integrated. English comes naturally to everyone I talked to, from the kiosk owner to the restaurant menus – being different isn’t frowned upon but celebrated. The skies are grey, but the color is in the people and places and their incredible diversity. It’s only been about two weeks since we moved, but every day it becomes more clear that this was the right decision. The journey, however, has only just begun. Getting office space and apartments here was just the very first step for the Berlin branch. The next challenge will be establishing a team and its processes, operating functionally independent from the Cologne branch. Until then, we plan to do as much as possible to integrate in the Berlin startup community, be sure to find us at your nearest tech meetup! João and Utku are both engineers and the Berlin Branch Managers.